Bitfinex is one of the oldest crypto exchanges highly regarded among professional traders. It’s gained its popularity thanks to the wide suit of advanced trading tool. Founded in 2012 and headquartered in Hong Kong, Bitfinex is a largest cryptocurrency exchange in terms of trading crypto against US dollar. Exchange wallet allows to deposit and withdraw crypto and fiat. It allows a user to trade available coins by placing limit orders. Bitfinex features peer to peer funding option and it’s internal funds allow users to trade up to 3.3x leverage. The users fill in the desired parameters such as amount of funding, the rate and duration and open a margin position. A Bitfinex user can earn interest on his deposit by lending his funds to other users who trade using leverage. The interest rate is regulated by offer and demand and is determined by the p2p platform itself. Bitfinex is the largest exchange that allows to trade fiat against crypto. A user may deposit and trade USD, EUR, GBP, JPY to several cryptocurrencies. In total, 121 coin and 331 pairs are traded on Bitfinex exchange. It has BTC, ETH, EOS traded as quote currencies in addition to supported fiat currencies. 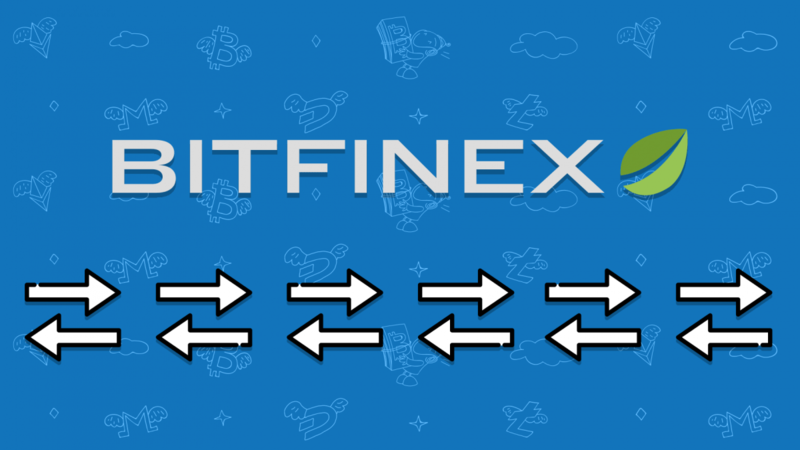 Bitfinex exchange charges different kind of fees, for instance trading, deposit and withdrawal fees. Let’s have a look at Bitfinex’s fee policy for each type. Trading fees differ for Takers and Makers. Maker fee is 0.1% and Taker fee is 0.2% and the fees are gradually decreasing depending on you 30-day trading volume. Bitfinex has 0 deposit fee for fiat if a user deposits more than $1000 equivalent. Deposit fee for BTC and ETH is 0.0004 and 0.0135 ETH respectively. Bitfinex withdrawal fee is equal to deposit fee for most cryptocurrencies. Fiat withdrawal fee is 0.1% of the deposit but minimum is 60 USD/EUR. Bitfinex exchange’s Margin trading feature opens new opportunities for traders. Bitfinex is one of the very few exchanges that allows to trade 4 fiat currencies. These features in addition to low trading commissions contribute to Bitninex’s popularity among crypto traders. Connect Bitfinex to your TradeSanta account and take the most out of crypto market volatility. How to Set Up a Trading Bot on TradeSanta? How to Trade Crypto on Bittrex?